In January 2016, Microsoft ended support for most users of older versions of Internet Explorer below IE11 including IE8, IE9, and IE10. 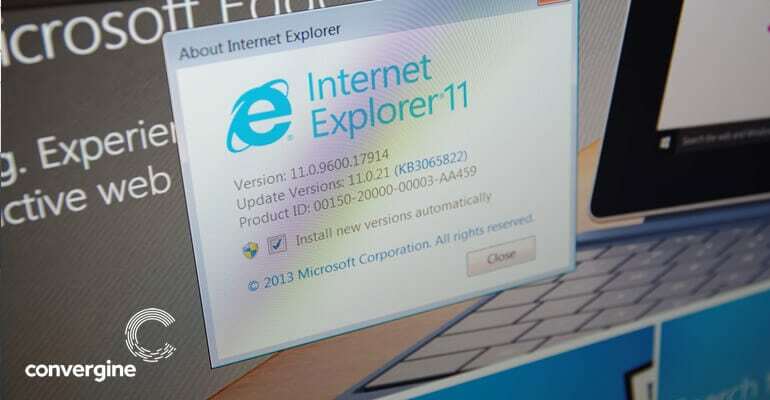 Internet Explorer 11 will continue to be supported and receive security updates, compatibility fixes, and technical support on Windows 7, 8.1, and 10. For the end user it means that you have to take action upgrading as soon as possible. Security updates are no longer released for these older versions, and it is vital that you get the newest version of Internet Explorer. It is important to stay up-to-date with current innovations to not be left in the dark. Failing to stay current may result in vulnerability to computer attacks and viruses. For your protection, we recommend that clients upgrade to newer versions of Internet Explorer as soon as possible. Along with Microsoft, web developers will no longer automatically support old versions of Internet Explorer. More details from the Microsoft.